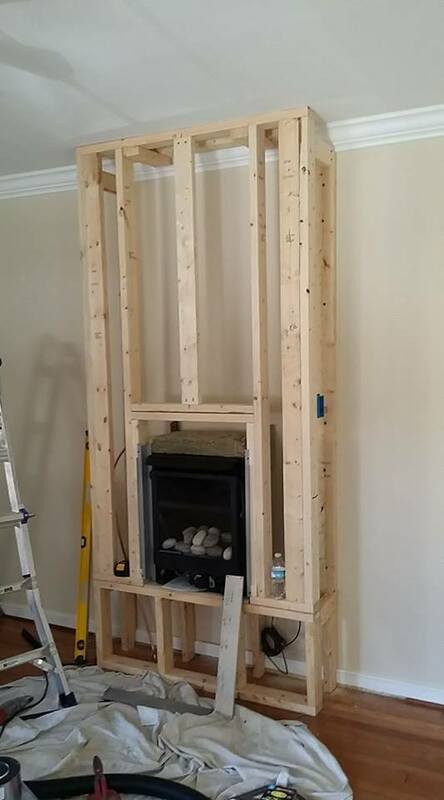 Install a fireplace any where! 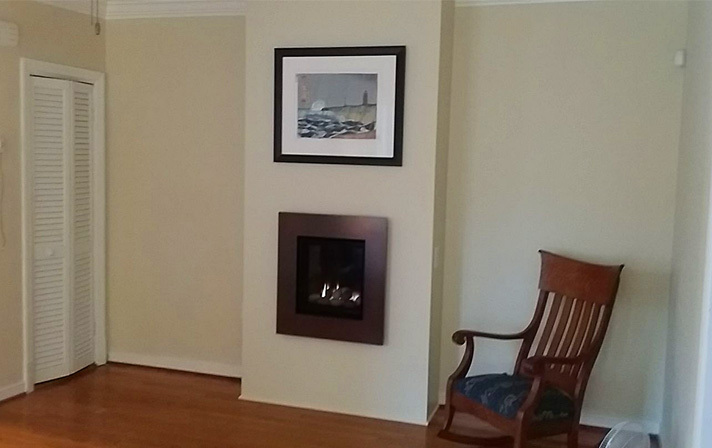 The living room in this little Richmond row house is only 12' x 12' but the homeowner desperately wanted a gas fireplace, and prefers a contemporary style. 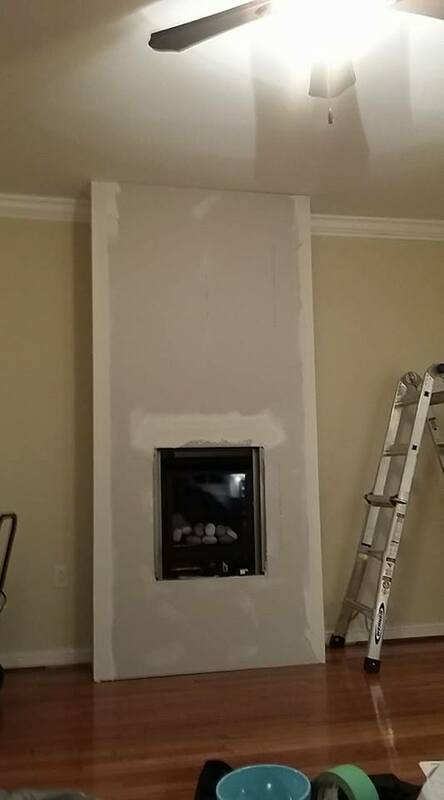 We designed an installation where the LEDGE gas fireplace is installed 18" above the floor, putting it exactly at eye level when sitting on the sofa that faces it. 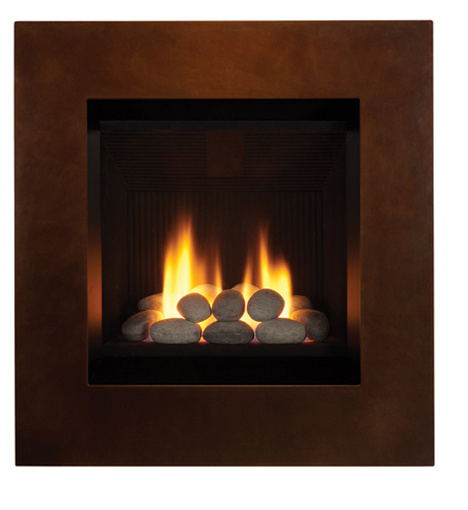 The chase is only 4' wide and 1' deep, and the fireplace vents horizontally through the wall. 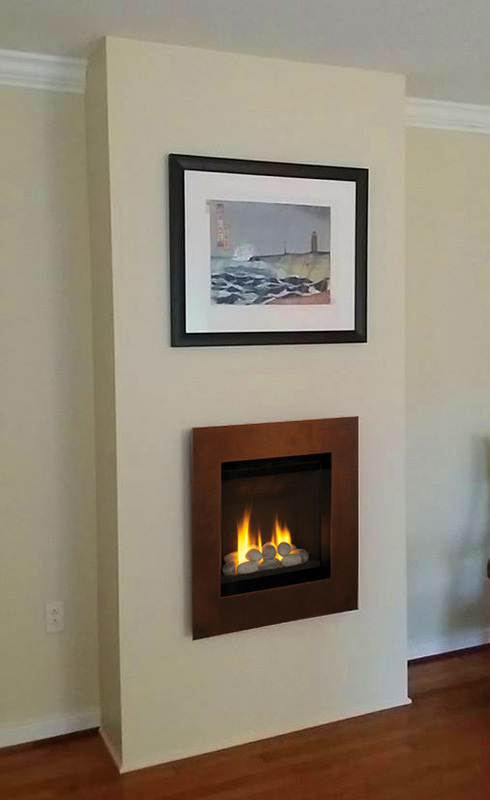 Bring us your hardest design challenges and let us create something beautiful for you!